Brian E. Fogarty's Fascism draws parallels between German culture of the early twentieth century and American culture today, concluding that fascism could arise in the United States. When the Nazis took power in 1933, most Germans did not foresee the oncoming storm. Many were wildly enthusiastic; some were alarmed; most were worried but trusted that things would work out. In short, they felt much as Americans have felt from time to time. 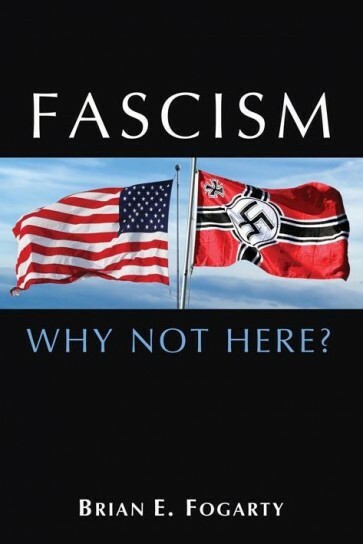 Brian E. Fogarty's Fascism: Why Not Here? draws parallels between German culture of the early twentieth century and American culture today. While Fogarty postulates that it would take a confluence of events and circumstances to propel Americans into the arms of fascism, he concludes that it is not entirely unlikely. Today, less than a decade after his original warning, some of those events are beginning to unfold. As Americans become more divided, as formerly nonpartisan institutions are politicized, and as Congress becomes increasingly paralyzed, we are forced to ask: how do we respond to a political outsider's rally cries to "make America great again”? In examining the similarities and differences between Nazi Germany and America today, Fogarty finds many reasons for hope that Americans will not fall victim to such chauvinistic appeal, but he also finds plenty to worry about. He points out that contemporary Americans and Germans of the 1920s and 1930s share many similar values, ideals, fears, and beliefs. Fogarty's strong words of caution will resonate with anyone concerned about America's political future and the freedoms we too often take for granted.